Locks are the first line of defense when it comes to keeping your home protected. Which is why it takes a professional locksmith to gain entry. 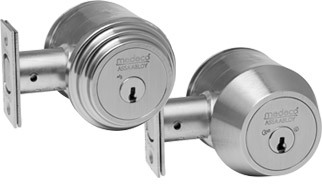 Choose Medeco locks for your home to prevent key duplication, drill, and bump entry. The Maxum Medeco Deadbolt comes in multiple finishes to match your home. 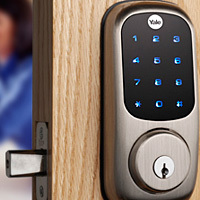 Smart locks allow you to lock and unlock your door from your smart device. Allow access to the dog walker, neighbor, house cleaner etc. These locks can be fitted with traditional or high security cylinders. Floyd has a full service, mobile locksmithing team. We come to you to help with lock repairs or rekeys. Our Locksmiths are hired by Floyd and have complete background checks. Need new locks? Contact us today! From repairing your home's locks to controlling access to over 100 doors at 5 different locations all from a single dashboard, Floyd has you covered. Offering lock, alarm, video, and access control solutions. Now Offering: A Do-It-Yourself security system for our hands on customer base of homeowners and small business owners. Take a look at our store today!